Romney looks to rebound from "win"
Nobody can accuse the former Massachusetts governor of not spending enough, so it's fair to say his message simply isn't getting across to enough voters - even in his home state. Taken a step further, his delivery lacks passion. Perhaps that's starting to change. Perhaps that's starting to change. Speaking in Ohio yesterday, Romney gave one of his most emotional speeches, turning away from the usual campaign topics to talk warmly about his wife and family. “By far the most important thing in my life is my wife. All right? Ann and I fell in love young, we're still in love. 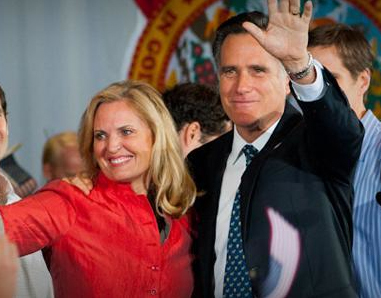 We have a marriage that is still filled with love,” said Romney. A few brief moments of passion won't make anyone forget how stiff and cold Romney appears at most times, but this does offer a sliver of proof that Romney – or at least his advisers – are starting to realize that it's not just the message that's been Romney's problem, but his delivery. We'll find out next Tuesday how this “new approach” is working.